Good afternoon, dear friends! This is Grandmaster Sergey Shipov of www.crestbook.com commentating on the 6th round of the super-tournament in Wijk-aan-Zee 2011. The time has now come for the Indian-Russian-Dutch Grandmaster Anish Giri to be presented to spectators. He’s had a bold start and has so far got by without any losses. His solid and accurate play belies his age. Of course, it’s early to draw conclusions as the tournament’s not yet at the half-way mark, but it’s already clear that Anish’s prospects in the elite are very rosy. By the way, the elite is limited. Also rushing to enter is Anish’s older colleague, Ian Nepomniachtchi. I really hope that they’ll get into the line-ups of traditional super-tournaments together, but today each of them has to cope with their own tasks – one against the other. I’m not expecting a bloodless draw. The task of the young is to put up a serious fight. They need to earn points and also the image of uncompromising fighters. The second is even more important than the first. 3. Nc3 d5 There it is. A civil war because they’re fighting with their own kind. And not only in the sense that the fighters have Russia in common, but because both of them are excellent players of the Grunfeld Defence as Black (I hope no-one has yet forgotten that Giri beat Carlsen in it), so that they both know the ideas here inside out. Both Ian and Anish are at home in the opening. 4. cxd5 Nxd5 5. e4 Nxc3 6. bxc3 Bg7 7. 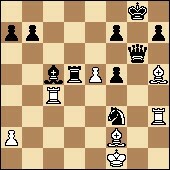 Nf3 So, White develops the knight, unafraid of the Bc8-g4 pin. 7…c5 The move order here is extremely important. Black saves on castling and attacks White’s centre with maximum rapidity. 9. Rc1 A standard reinforcement of the centre. 10. gxf3 You have to spoil the structure a little. However, the defect is slight. In return White gets the advantage of the two bishops. Black is still choosing his moment to bring out the c6-knight. The check on a5 is also a constant threat. Let’s say, if the queens are exchanged on d2, then Black will develop the rook to d8, and the d4-pawn will be in a bad way. 12. f4 A novelty! Clearly thought up at the board. Giri is intending to develop the bishop to g2 or… or attack the black king’s fortress with pawns. We’ll see. 12…e6 A useful prophylactic move, fixing the weakness on d4. Now the d4-d5 prod of the c6-knight won’t be terrifying, as in that case White’s pawn mass will be scattered into tiny pieces – as in the game of the player who thought up the idea. 13. Bg2 Yes, development is safer and more solid than a clearly underprepared attack. 13…Nc6 And what can you do about the poor pawn? 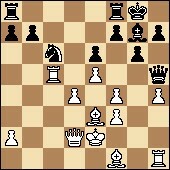 14. e5 Anish defends his weakness and activates the g2-bishop. But the cost is great – the mobility of the pawns is reduced, the d5-point becomes the object of Black’s desires. Of course, if White manages to castle and play d4-d5 then he’ll have an edge. But who’ll let him? 14…Qa5+ Ian is attacking while the white king hasn’t run home. It’s all a matter of tempos! 15. 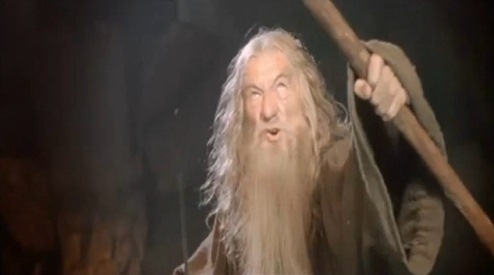 Qd2 Qa6 “You shall not pass!” said Gandalf. The Balrog on e1 stopped and sunk into thought. 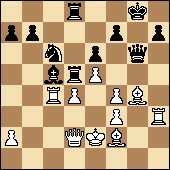 16…Qa5+ The exchange on e2, of course, was no good – that would help White’s development. 17…Qa6 Testing out his opponent’s mood. A draw as Black in a super-tournament is a normal result. But letting your opponent off without a fight as White is undesirable… Let’s glance at the clocks: 1:11 – 1:38. Anish is thinking for a very long time. It’s a problem from the series: “The cat would eat fish, but would not wet her feet” [Translator’s note: perhaps not the ideal translation of that idiom, but I found that version and couldn’t resist!]. It’s a little early to agree to a draw, but there’s no promising continuation visible… Here I’m looking at the bold break 18. d5. It seems you can play it – but it demands very precise calculation. 18. Bf1 Well done, lad! He’s decided to continue the struggle. 18…Qa4 Cunningly played. Ian is provoking an attack by White’s rook from c4. You’ll laugh, but in that case the black queen is within its rights to stand on b5. Discovered “gardes!” don’t terrify it. Yes! However, it can’t be ruled out that what’s taking place is just home analysis. My metal friend recommended the Qa6-a4-b5 zigzag. I didn’t believe it – but Ian, at home, it seems, checked it out – and was convinced. 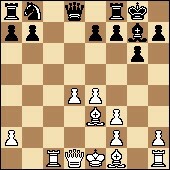 The queen keeps an eye on the white rook, so the bishop can’t return to g2, and White no longer controls the d5-point. Black also has the manoeuvre Rf8-d8, after which the d4-point will be under pressure. The difference in the players’ opening preparation can be seen on the clocks: 0:42 – 1:34! Almost an hour. 20. Rc5 Yes, you need to clarify the situation. 20…Qb1+ The intrusive queen, it seems, will jump to e4. 21. Ke2! A precise solution to the problem. The king is ready to let the h1-rook enter the fray. Bf1-g2 will follow. 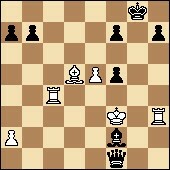 For 21…Qe4 the reply 22. f3 has been prepared, after which the white king switches its base to f2. 21…Qe4 Carrying out the idea he’d prepared – although he had great doubts. 22…Qf5 The queen has almost been caught. But “almost” doesn’t count. It’ll still have a real say in things – on the kingside White has all kinds of weaknesses. 23. h4 The net around the queen is tightening. Now Ian should under no circumstances play 23…h5. The prey is struggling in the snare. 24. Bf2?! Understandable caution and… the loss of a tempo. 24…Rfd8 Now it’ll be significantly more difficult for White to break through in the centre, which means the d4-pawn remains weak. 25. Bh3 Anish no longer has time to calculate sharp variations. 25…Bf8 The Black pieces are attacking in unison. And the queen, laughable at first sight, is playing a significant role in the attack. 26. Bg4 Qh6 It seems it’ll soon replace the bishop on the key g7-square! White’s centre is creaking and shaking, but holding. 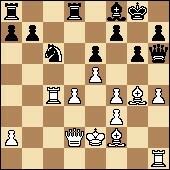 The d4-d5 break is no longer an option, but there’s the idea of blocking two of Black’s most precious pieces via h4-h5. A struggle with mutual chances – that’s the current evaluation of the position. 27…Rd5 Ian is hoping to put more pressure on the d4-pawn. At the same time he’s putting obstacles in the path of his opponent’s active ideas. The clocks show: 0:25 – 1:05. It’s not over yet. 28. h5 As you can easily see, Anish is also far from a grey-haired pessimism – his hair is black and curly. He also prefers attacking and generally strengthening moves. 28…Rad8 The tension in the centre is growing. I think it’ll soon collapse – in a flash of lightning. 29. Rh3?! A direct frontal attack on the h-file, to which Black should respond with an attack on another file – 29…Bc5! 29…Bc5 When Nepomniachtchi sees a target you can’t stop him! 31. f5 From a practical point of view this is a perfectly understandable step. If normal methods are useless, you need to try and confuse things. 31…exf5 32. Bh5 Nxd4+! The only, but sufficient, move to preserve the advantage. 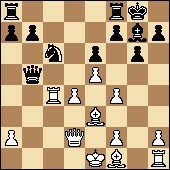 The black queen is intending to retreat with check, from g2 or a6. 33. Kf1 That’s the only way of continuing the struggle. You wouldn’t envy Giri now. But he’s fighting. 33…Nxf3! The knight has continued its blood-strewn path. The board is becoming blacker and blacker! And White’s time is coming to an end: 0:05 – 1:03. 34. Qxd5 When both queens are under attack it’s important to extract as high a price for your own as possible. White’s problem is that a knight fork on d2 is also threatened. He’s losing material. 35…Bxf2 36. Bxd5 Qg1+ It’s all simple now. An ambush! The capture of the rook is threatened, as well as mate in two moves – in a number of different ways. WHITE RESIGNED. I congratulate Ian on a deserved win. I’d also like to support Anish. He showed that he’s a real fighter – he bravely refused a repetition of moves in the opening, and then played very accurately and inventively. He nevertheless managed to get an edge out of the opening! But he spent too much time on that, and then tried to speed up. And as a result, in the stretch from the 24th to the 29th moves, he made a series of inaccuracies, which meant White couldn’t keep control of the centre and came under powerful attacking blows from Black. In general, both our grandmasters deserve praise. Good luck to you guys in the coming games! This is me, veteran Sergey Shipov, ending my report on the young chess players. Thank you for your attention, and until we meet again! hey you didn’t correct “I’m not expected a bloodless draw. ” ? know it’s insignificant, but nevertheless…. This is one of the most informative AND entertaining commentaries I’ve ever read. You have great style for combining your chess knowledge with humor.